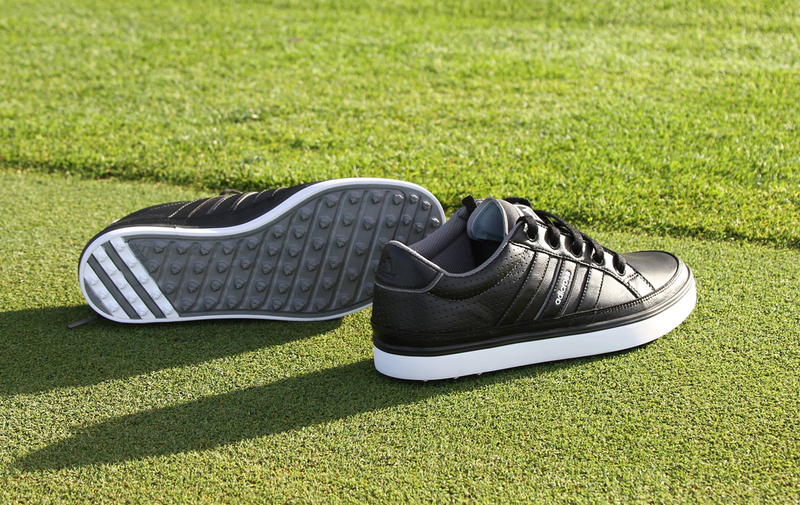 The Adidas Adicross Classic Shoes is considered to be the best classic sneaker golf shoes. The coming of spikeless golf shoes has allowed sneaker styles to proliferate in the golf course. The Adidas Adicross Classic brings the brand’s iconic form factor to the course in a lightweight, comfortable shoe that transitions seamless from the golf course to your daily life. Its spikeless traction is courtesy of Advanced Traxion Technology that uses 100 engineering lugs in varying sizes for enhanced grip. This shoes add CloudFoam sock liners for feather-light cushioning. Adidas Adicross Classic Shoes come with Leather and Synthetic, has a lightweight cloud foamsock liner with extra EVA cushion underneath providing ultra-light cushioning and comfort. Puma Men’s Titantour Ignite Hi-Top Se Golf Shoes is one of the best high top golf shoes. Thanks to PGA Rickie Fowler for these high top golf shoes. The Ignite H-Top combines the cleated comfort of Puma’s performance golf shoes with the classic luck of the brand’s lauded lifestyle collection. This golf shoes features Ignite Foam for energy return and responsive comfort along your entire foot. This shoes features PWRFRAME construction and its perfect fit strap hold you down on the course no matter what the conditions are. It features full-grain leather uppers completed by pigskin lining for complete waterproof comfort. The douflex soles facilitate natural movement whether you’re swinging or walking the course. The Adidas Climeheat Boa Golf Shoe is the best foul weather golf shoes. With the Adidas Climeheats Boa Golf Shoe, duffers stuck in northern climes can extend their season into the fall. Adidas uses Climaheat multi-layered lining that extends over the ankle with a lightweight microfiber sheath. It can help keep your feet warm and dry. Adidas Climaheat Boa provides stability in any weather conditions, thanks to a TPU saddle that features 360WRAP engineering, and the new nine-cleat outsole that adds Swing Plane Traction tech for grip in wet and even frosty conditions. Also featured in this shoe is an advanced Boa Closure System with an incremental pull and push structure to customize the shoe to your foot. By wearing some of the best golf shoes when playing golf in Branson, you will always have the possibility to improve your golf game.